New Construction Homes and Real Estate For Sale in Del Sur. Del Sur new homes and townhomes are now selling in a variety of neighborhoods throughout Del Sur. Homes feature 3 to 6 bedrooms in homes from 1,276 square feet in the new active adult community of Auberge to approximately 6,900 square feet in The Estates at Del Sur. Del Sur is the most active community of new homes in North County San Diego. Homes are currently being constructed by CalAtlantic. 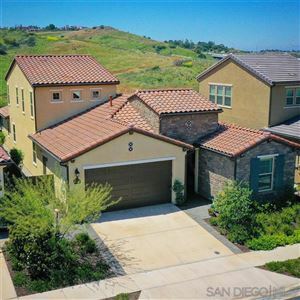 Del Sur is a master planned community in North San Diego, California in Black Mountain Ranch located just 30 minutes from downtown San Diego and 7 miles to the Pacific Ocean. Here you will get the feeling of living in mountain ranch country surrounded by 4,000 acres of open space with 18 miles of trails yet close enough to the ocean to feel the coastal breeze and ideal temperatures. Community parks and swimming pools are scattered throughout the community that offers a range of housing from new townhomes to luxury estate homes. New schools have been built as part of the highly acclaimed Poway School District. Once completed the Del Sur master plan will welcome nearly 2,500 new families in a variety of new homes and townhomes in Del Sur. There will be 13 new neighborhood parks, many with swimming pools. Del Sur is located just a short drive from Highway 56 or Interstate 15 and is located east of Rancho Bernardo, south of Rancho Santa Fe and west of Carmel Valley and Pacific Highlands.